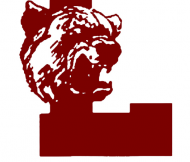 SANDY — The Logan Grizzlies took advantage of a sluggish start and surprised the Desert Hills Thunder, upsetting them 4-1 and punching their ticket to the state championship Friday at Jordan High School. Veronica Sullivan, Logan’s star forward and senior leader, who nonchalantly rung up two goals and was a thorn in side of the Thunder all night, said that the small things are what mattered against Desert Hills. Logan shot out of the gates and pressured the Thunder defense, almost scoring on two occasions before Sullivan found the back of the net first in the 14th minute after receiving a brilliant pass from teammate Demi Lopez. Lopez worked the ball in deep on the right side of the goal before setting up Sullivan in the middle. “We worked really well passing. It was like connection, connection, connection and I got a nice pass from Demi (Lopez) and then I just ripped it,” Sullivan said. Right before halftime, Logan added another Sullivan goal. This time, Logan’s Zoey Clark faked a shot and set up Sullivan with a great look at the goal. Sullivan stroked it and sent a deflated DH squad into the half down 2-0. Desert Hills made some effective adjustments at half and fought back to make it a game. With 26 minutes to go, Makayla Lewis caught up to a nice through ball and broke open for a one-on-one with the goalie. Right before she shot, she was grabbed from behind in the box on a yellow-card foul. 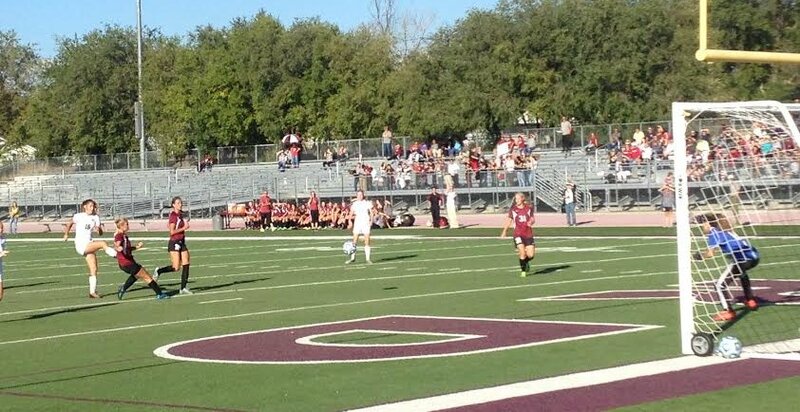 Teammate Kenzie Done took the penalty kick and nailed it post-in on the right side to make it 2-1. DH went on the offensive and came close on several opportunities, but ultimately the wheels came off the bus when, with 10 minutes to go, Logan’s Zhu Parker capped a Grizzly counter-attack with a demoralizing goal to make it 3-1. In desperation, DH sold out offensively in the last 10 minutes, but came up empty-handed and forfeited another goal to Lopez making it 4-1. Despite today’s tough loss, Nelson was happy with his team and their success winning region and getting to the state semis. “It’s my first year and there has been a lot of changes,” he said. “We have come a long way and the girls have picked up a lot of things. Next year, I am confident that we are only losing two seniors and we’ll have our whole squad back besides those two. We have a lot of experience and the girls are sad, so we’ll use that motivate ourselves for next year. The Desert Hills Thunder finish their 2015 campaign 11-6-2. The Logan Grizzlies improve to 12-4-0 and will play for the state title against Cedar Saturday at 4:30 p.m. at Rio Tinto Stadium.